‘Burst SFX – Thor & Combinator Presets’ injects ModeAudio’s serious expertise in SFX and ambient sound design straight into your Reason projects. With a wealth of sound types delivered in both Combinator and Thor formats, you’re sure to see the sparks fly on the dance floor! The 40 intricate Thor presets and 15 intriguing Combinator patches within offer you Explosions, Hits, Falls, Risers, Sub Drops, Reverses, Bleeps and Accelerations. With such a wide range of different sounds included, you’ll be able to find endless uses for these exquisitely-programmed presets. The Combinator patches provide breathtaking extensions to the Thor patches, and also pick out some powerful combinations using multiple Thors – so you can instantly adapt the setups to provide even more breadth and versatility! All 4 of Thor’s macro controls have been assigned to musically-useful parameters, as have all 8 of the Combinator macros. Complete with velocity-sensitive assignments, we’re sure you’ll find the range of possibilities astonishing! 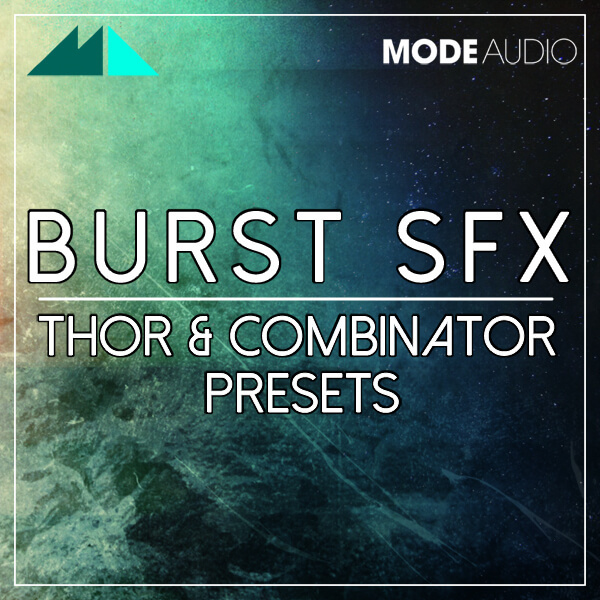 Give your next Reason production a rocket-powered punch with ‘Burst SFX – Thor & Combinator Presets’!